As Google, Intel, Facebook, Samsung and everybody else rushes to get into mobile health, nobody has been scrutinized more than the big dog at the top of the heap: Apple. While a lot of people have focused on their theorized plans for the iWatch (and how it may be similar or different to the mass of smartwatches rushing onto the market), I’ve been more interested in another story: the Healthbook app. It looks as though Apple would like to own the dashboard real estate of all of your conveniently accessible body metrics, which isn’t terribly surprising. From screenshots leaked from 9to5mac.com (can’t validate them, but let’s assume they’re true or at least close), I count no less than 10 major categories of metrics they’d like to track: heart rate, hydration, blood pressure, activity, nutrition, blood sugar, sleep, respiratory rate, O2 saturation, and body weight. I can’t say that anything on that list surprises me; they’re all metrics that would be nice to keep track of if we had an easy way to do so. And (assuming Apple has some fancy new sensors in the works we don’t know about), we may well be tracking them with Healthbook within a few years. But as much as that list is unsurprising, it’s also a little bit uninspiring. It’s too… obvious, I guess. That list seems to me like a focus group came together and said, ‘OK team, write down every body metric we could feasibly measure that might matter to someone’s health.’ That’s a good start, but it will lead you to incremental improvements rather than true innovation. Yes, there are some body metrics that need to be tracked this way; blood glucose is a great example. Having easy access to a blood sugar management app could make a huge difference in the lives of millions of diabetes patients. But here’s the thing: those apps already exist. There are lots of them. People have already thought about this. Same goes for activity tracking, heart rate and nutrition apps. 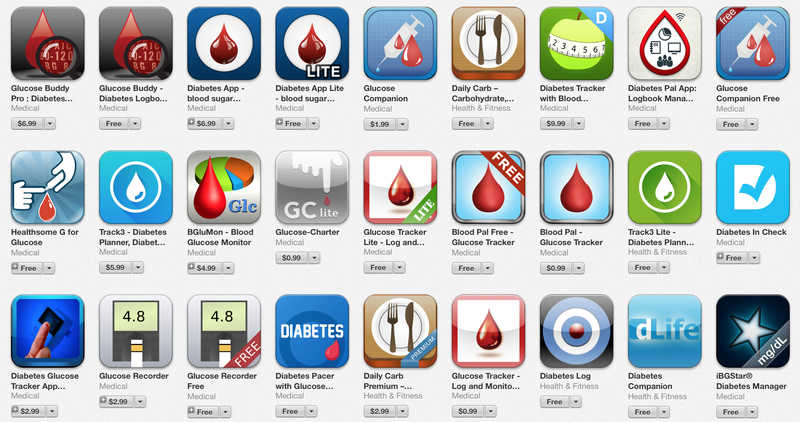 All very valuable things to track, but you’re improving on an app ecosystem that already exists. And there’s nothing wrong with that: no one’s arguing that the iPod wasn’t a revolutionary device, even if it was mostly an improvement on the Nomad Jukebox. But if you’re Apple, you have to distinguish Healthbook from the swamp of fragmented competition in the App Store (and Google Play store) and think about what kind of problems people want to solve beyond simply tracking metrics that are trackable. If you apply the Christensen jobs-to-be-done principle to mobile health apps, you’ll see a whole lot of opportunity in the mHealth space that Apple (or anyone) has yet to seriously tackle. I’ll certainly concede that there are populations of people who have an immediate need to monitor their blood glucose, heart rate or respiratory rate. But I’d bet that in order for Healthbook to really catch on with the average consumer, Apple needs to broaden their focus to other widespread, common health problems (like back pain!) that lead to non-obvious but powerful jobs that consumers want to be done for them. Another example: concussions. We read about concussions and pro athletes a lot in the news, but hear far less about their prevalence in the general population. Recovery after a concussion can also fall nicely into the jobs-to-be-done theory of X: one of the hardest parts of concussion recovery is tracking, visualizing and communicating your progress and challenges during the weeks and months afterwards, in a way that doesn’t completely take over your life. Apps to help manage this recovery process have started to appear, which is great. But they aren’t really the types of application that would fit neatly into the Apple Healthbook, the way it’s currently designed. With all its resources, Apple could certainly afford to venture out into what I call the outpatient world of health care: where acute problems have long since been identified but the secondary consequences endure as chronic stresses. These are problems that will not be identified by taking a ‘list all of the metrics we can quantify’ approach. But I suspect that’s where that secondary, deeper layer of solvable problems can be found, which will make the difference between whether Healthbook remains a niche product for those with specific health concerns, or if it becomes an essential tool for the everyday iPhone user.